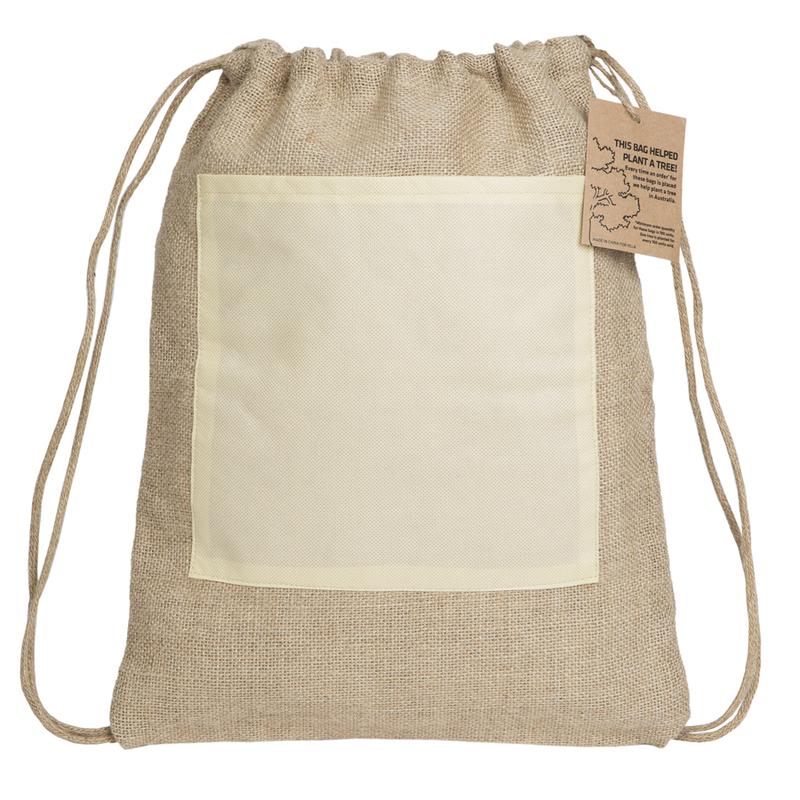 A backsack that will stand out from the rest. With an express service and environmental contribution. Looking for a backsack that will make your branding STAND out? 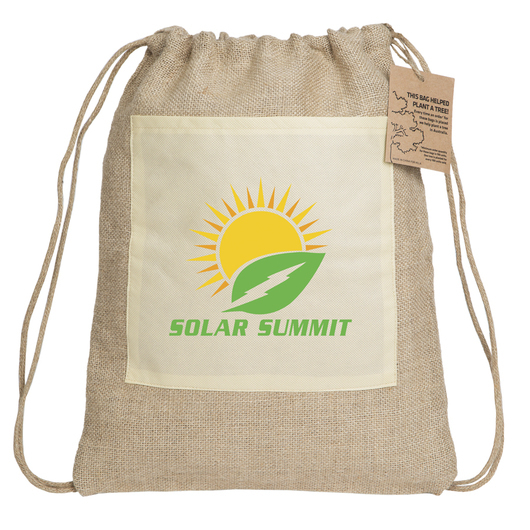 Well these backsacks are made from a high quality jute material and feature a non-woven pp front pocket. Not only that but for every 100 units sold, one native tree will be donated to replanting degraded land right here in Australia. Making these a fantastic choice for the environment and your marketing.